Opening with a simple red line that charts the exponential population growth that occurred around the time oil production began, The Survivalist offers a bleak new world after the collapse of civilisation when the population has plummeted back down to sustainable levels again. We don't get to see much of what this post-apocalyptic future is like, but we see enough to learn that human nature hasn't changed a bit since the dawn of man. Martin McCann plays an isolated loner who has settled in the woods and is scraping a living by setting traps to catch anyone who comes near his tiny farm. Here he is growing enough food to survive, and burning pages of the bible to keep his bare hut warm. With no dialogue for a decent chunk of the film, the titular protagonist goes through his daily rituals, concentrating only on the basics of life; warmth, keeping clean and making food. It is only when a starving mother and daughter arrive and ask for food that his solitary existence is shattered. 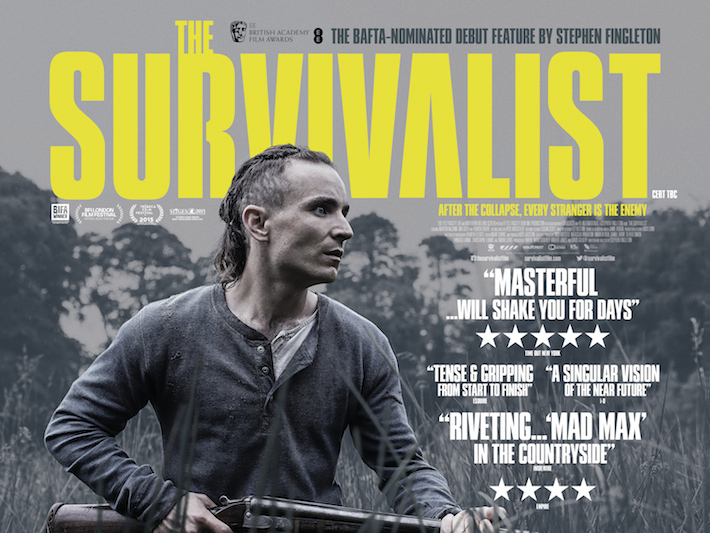 Read the rest of my review of The Survivalist at Starburst Magazine here. Stephen Fingleton won Best Debut Director at the British Independent Film Awards in 2015 for this so go give it a shot!